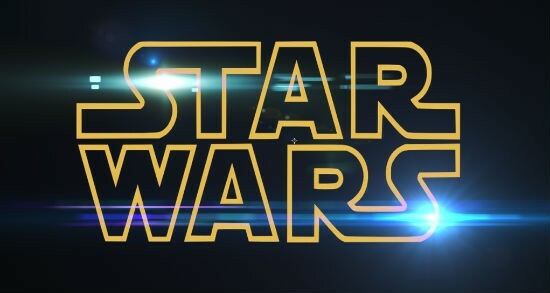 Michael Arndt is off STAR WARS: EPISODE VII and J.J. Abrams and Lawrence Kasdan are now scripting! As Episode VII continues pre-production, Lawrence Kasdan and director J.J. Abrams have assumed screenwriting duties for the film. Kasdan, who has been serving as a consultant on the film, is a veteran of several classic Lucasfilm productions, writing the screenplay for Raiders of the Lost Ark and serving as co-screenwriter for The Empire Strikes Back and Return of the Jedi. Acclaimed director and screenwriter Abrams' credits include Super 8, Mission: Impossible III, Fringe, and Lost. Location scouting, production design, casting, and costume design are already underway on Episode VII. A team of gifted artists are working to bring the latest installment of the Star Wars saga, including director of photography Dan Mindel (Mission: Impossible III, Star Trek, Star Trek Into Darkness), production designers Rick Carter (Lincoln, Avatar, Forrest Gump) and Darren Gilford (Oblivion, TRON: Legacy), costume designer Michael Kaplan (Star Trek Into Darkness, Mission: Impossible - Ghost Protocol, Fight Club),special effects supervisor Chris Corbould (Skyfall,The Dark Knight Rises, Inception), sound designer Ben Burtt (Lincoln, Wall-E, Star Wars: Episodes I-VI), re-recording mixer Gary Rydstrom (Jurassic Park, Saving Private Ryan, Toy Story, Mission: Impossible -Ghost Protocol), supervising sound editor Matthew Wood (Star Trek Into Darkness, The Master, There Will Be Blood) of Skywalker Sound, and visual effects supervisor Roger Guyett (Star Trek Into Darkness, Pirates of the Caribbean: At World's End, Star Wars: Episode III Revenge of the Sith) of Industrial Light & Magic. Kathleen Kennedy, J.J. Abrams, and Bryan Burk are producing, with Tommy Harper (Mission: Impossible - Ghost Protocol, Jack Ryan, Star Trek Into Darkness) and Jason McGatlin (Tintin,War of the Worlds) serving as executive producers. John Williams is returning to score Star Wars: Episode VII. This is obviously huge news and comes almost exactly a year after the announcement Disney made announcing EPISODE VII. While having the co-writer of THE EMPIRE STRIKES BACK is great, it does lead to a lot of questions. How much turmoil is there going on behind the scenes right now? What is the planned release date? (This statement now only says “an expected 2015 release” no longer Summer 2015.) It also now says that production is expected to begin Spring 2014 rather than January. I really doubt Abrams and company can have a post-production schedule of less than a year for a film of this magnitude. And, what about casting and all of the rumors of auditions? Are those thrown out the window now and casting begins from scrap? How much involvement is George Lucas going to have from this point forward? I am sure they have been writing this new script and working from it for months now but it does raise some concerns. This announcement probably means everything is squared away now but it just confirms a lot of the more interesting rumors that have been surrounding this project. What do you guys think? Is this concerning to you?